If there is one area clients would agree is crying out for a more flexible approach to ADR, it is the legal sector, where the Legal Ombudsman (LeO) will not look at complaints generally after 6 months and if they involve negligence claims. If that is the case they have to go to Court. Even if their complaint is covered, it can take many months to resolve. The ADR directive is meant to change all that. Under the ADR Regulations the LeO (run by the Board of the Office for Legal Complaints) can apply to be a certified ADR provider to deal with legal complaints. The idea was that solicitors can signpost to one ADR body and there would be no need to have more than one ADR provider in the legal sector. We pointed out some time ago that the LeO would not be able to comply because its scheme rules do not comply with the ADR Regulations. In particular, the time limits for making a complaint are too short. Also, it has not yet been able to deal with all cases within 90 days. The Financial Ombudsman Service has got around that problem by agreeing to become compliant within a reasonable period. The LeO, however, has withdrawn its application and is consulting with lawyers as to amendments to its scheme. In the meantime law firms have to comply with the information requirements or be in breach of the regulations, which would also put them in breach of their professional obligations. We also wonder about the position with regard to negligence claims because LeO’s scheme rules prevent it dealing with cases that would be better dealt with in Court or negligence claims unless they overlap with service issues. LeO would apply on the basis that negligence issues fall outside its jurisdiction, rather than that this is a ground for refusal under the directive, but that would mean that a client with a professional indemnity claim would have to go to a different provider, or would the lawyer have to signpost to a provider who does deal with such disputes? The position is confusing to say the least. Reference to the LeO is obligatory to lawyers and the ADR Directive is voluntary (apart from providing the requisite information) and so the amended scheme still has the characteristics of an obligatory scheme, with obligations to report misconduct and co-operation requirements which would not apply to the ADR Directive scheme? The LeO is a redress scheme and makes binding decisions and awards about lawyers, as opposed to the alternative options which offer mediation. The proposed changes to the LeO’s rules could have implications for firms’ professional indemnity policies, as the LeO would have power to investigate complaints made outside the 6 year (or 3 year extended) limitation period, which would not matter so much in a voluntary mediation process. Will firms now have to keep their files forever so as to defend possible complaints, for example by beneficiaries about a deceased person’s retainer, or home-buyers about a conveyancing transaction many years down the line? 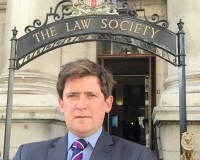 In an understatement, The Law Society described the consequences as ‘potentially serious’ for firms. A consultation on the changes is open for a very short eight week period. In the meantime, it is open to lawyers to use the mediation service providers certified by CTSI to operate in the legal sector, as long as they continue to sign post to the LeO. 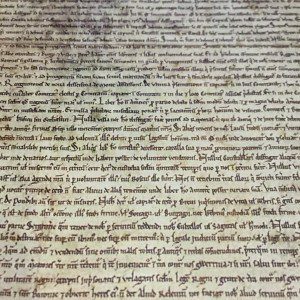 The Magna Carta – 1215. 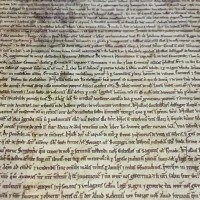 A more impressive piece of legislation! – the ADR Regs, which implement the EU’s ADR Directive, require (amongst other things) ADR to be available across the economy, for traders to signpost to certified ADR bodies and allow for a variety of competent authorities to certify ADR entities. Under the ADR Regs, the Legal Services Board (LSB) was designated a competent authority for the OLC only. This means that the LSB’s only role under the ADR Regs is to certify OLC if it applies to become an ADR entity. – ProMediate has applied to the Trading Standards Institute (TSI) as the cross-economy competent authority, for certification as an ADR entity to deal with legal complaints. The LSB is designated as the competent authority for the OLC, but this simply means that LSB is only permitted to certify OLC. ProMediate is certified for such purposes and so legal services providers can signpost to ProMediate in order to be compliant with the ADR Regs consumer information requirements (in force from 1 October). Irrespective of the above, regulated legal services providers will still have to signpost to the Legal Ombudsman as, no matter what happens to deliver compliance with the ADR Regs, the Legal Services Act regime remains in place. Aggrieved legal services consumers retain their statutory right to take a complaint to the LeO and providers must comply with their regulatory obligations to signpost to the LeO. The Law Society’s briefing confirms that solicitors are still required to signpost clients to the Legal Ombudsman under the Legal Services Act as well as signposting to an ADR Provider. So the problem really relates to the LeO having to fulfil both functions.